Senior Lecturer in History at Anglia Ruskin University, specialising in the history of the British Empire. Taught in schools (PGCE Exeter University, 1984) and Lecturer in History in the School of Education at Exeter 1988-1992. 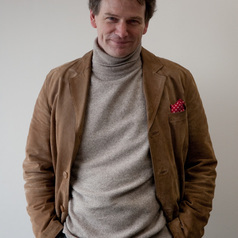 Head of History, Hills Road Sixth Form College, Cambridge (1992-2001). Worked with the Council of Europe in the field of history teaching. PhD at Anglia Ruskin University (2007) on Maternal Mortality in Nineteenth-Century British India. Served twice as Honorary Secretary of the Historical Association; headed the Better History Forum which advised Michael Gove on the history curriculum. Award-winning playwright. "I'm Backing Britain" and "The Necessity of Atheism" at Edinburgh Fringe, 2015 and 2016; "Great War" cycle. Regular broadcaster on BBC Radio Cambridgeshire. Also BBC Essex and Cambridge 105.